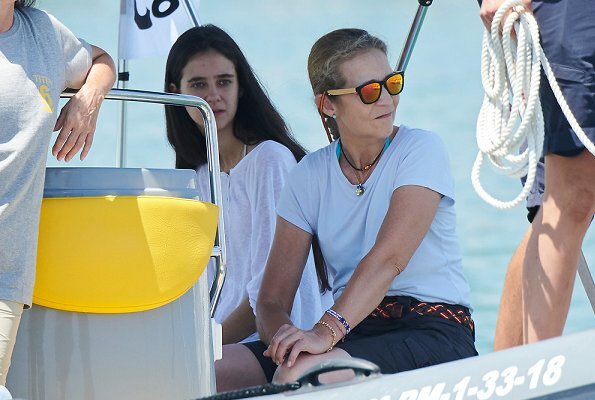 On July 29, 2018, Infanta Elena of Spain and her daugther Victoria Federica Marichalar Borbon attended the training day of 37th Copa del Rey Mapfre Sailing Cup at the Royal Nautic Club in Palma de Mallorca. 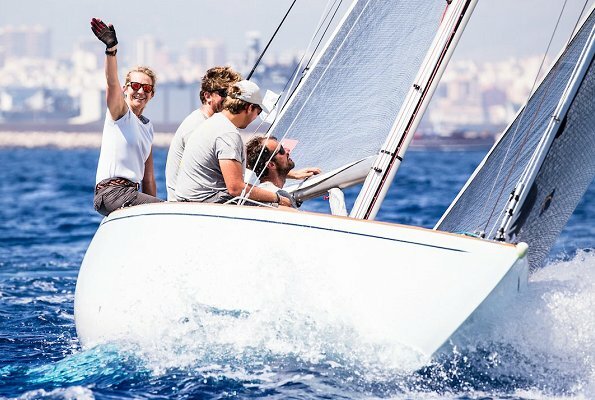 The Copa del Rey MAPFRE is organised by the Real Club Náutico de Palma and the Spanish Sailing Federation. 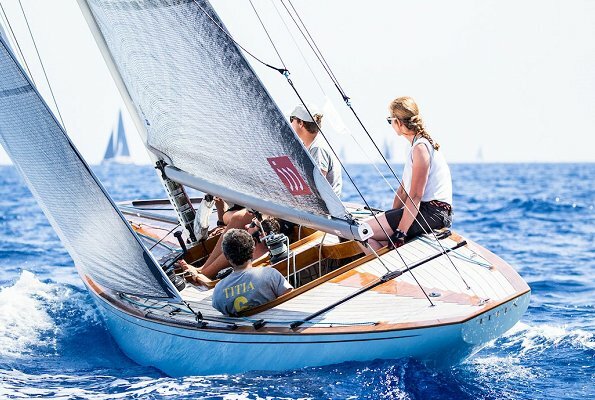 The regatta will be held in the Bay of Palma de Mallorca from the 30th July to 4th August 2018. Isnt this a blog about fashion? Why then publish photographs of people getting hunted by paparazzis at sea? And also wearing boring casual clothes like shorts and t-shirt? Shape up author of the blog, these kind of photos makes people feel bad. Wonderful to see her so relaxed! Only a few days ago hubby and me we were invited to a sailing trip with friends who own a ship. I was the only one without a sailing license and I was definitely not relaxed. But in the end everything was fine. 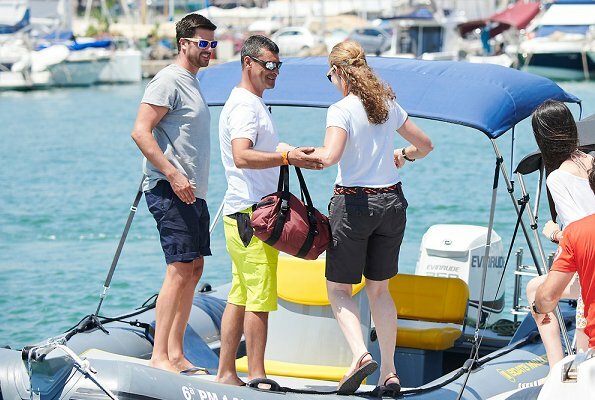 Great fun for people who know how to handle a boat! 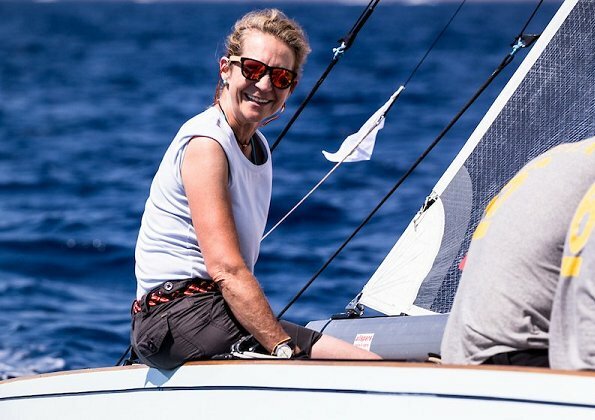 La infanta Cristina es elegante hasta en bermudas. Se la ve feliz. ¿Cristina? Uff, esa es Elena y su hija Victoria. Cristina's husband is in prison and her family exiliated in Switzerlan. 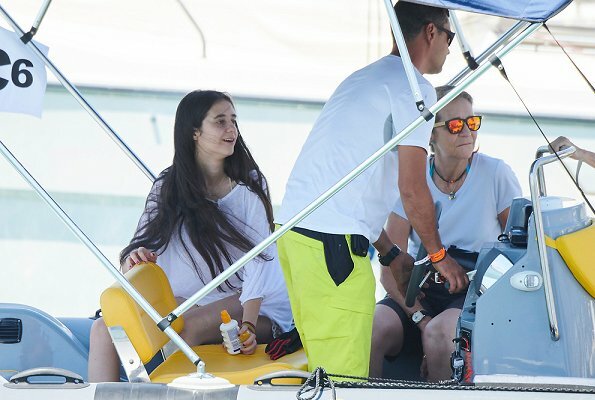 I doubt you will see it again..
Elena's son is doing nothing... another problem..
Life jackets! The new ones are much slimmer and better looking and they do save lives. Nothing to say about fashion here - just ordinary casual clothes. Life jackets?? People spend their holidays diving into the water from the boats in the Balearic Islands.. just the contrary..
ship ahoy a fun day on the water.No Life jackets? Hope they put them on later. People jump into the water to swim.. I find it a bit surprising that none of the persons in the pictures are wearing life jackets. This is not OK when out on a sailing boat, clearly not anchored to jump into the water. You never see a professional sailor without a life jacket, they know how easy an accident can occur. Nothing to do with knowing how to swim or not. I have never seen King Juan Carlos, King Felipe, Elena, Cristina or Queen Sofia on the "Bribón" boat in life jackets my life, and all of them are sailors..
Nadie en esta regata lleva chalecos y hay gente de muchos paises, no te deja maniobrar, eso es en otro tipo de barcos. Infanta Elena and Victoria look wonderful.